Looking for an excuse for a treat? 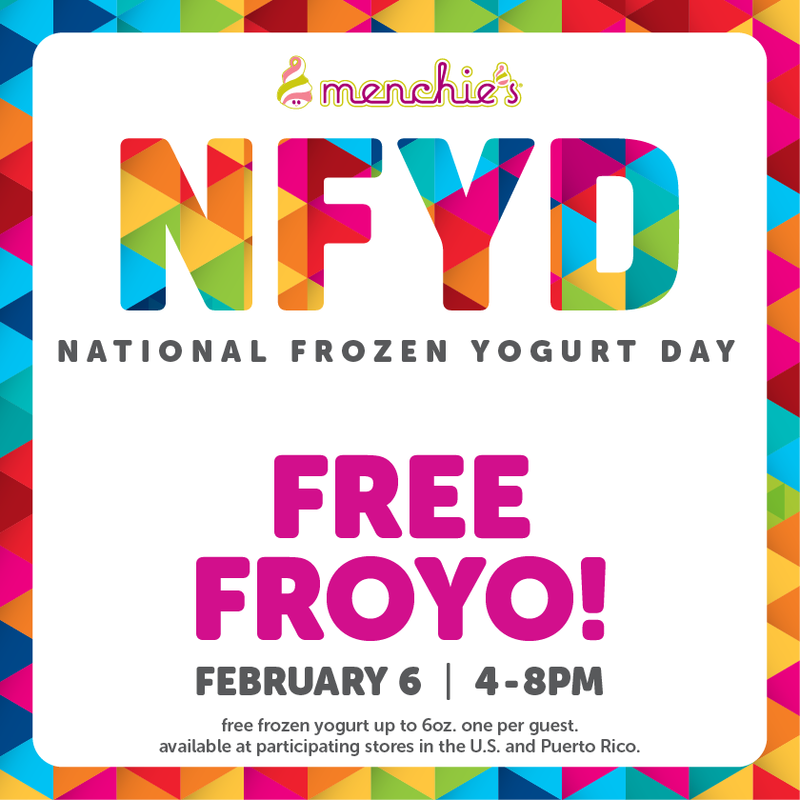 Many Menchie's Frozen Yogurts across the country are giving out out free froyo on National Frozen Yogurt Day this Friday, February 6 4PM-8PM. During this time, each guest will receive free 6 oz of frozen yogurt. The Menchie's in Mount Prospect, Glenview, Bloomingdale, Schaumburg, Algonquin, Downer's Grove and Chicago are all participating. The Highland Park location did not post participation on their Facebook Page so you will need to check with them on availability. Other locations throughout the country are participating so check with your local Menchie's to verify participation. Enjoy!